A smile is the universal welcome, so why not light up the universe with your pearly whites? If your teeth are a little more discoloured than you would like, teeth whitening can be a simple, safe and quick way to give you a confidence boost. At Pitt Street Dental, we treat thousands of patients who are looking to improve the appearance of their smile with a whiter colour. It is important to understand what may be causing your teeth to become discoloured before you opt to have them whitened. Many of the causes of tooth discolouration come from what you put in your mouth, be it coffee, tea, red wine or cigarettes. Dark foods such as mulberries, beetroot and cherries can also cause staining. Outside of consumables, factors such as poor dental hygiene, certain diseases, medication, advancing age, genetics, excessive fluoride exposure and trauma to teeth can also cause teeth discolouration. The procedure at Pitt Street Dental uses Philips Zoom! WhiteSpeed whitening treatment to lift your teeth between 8-15 shades in as little as 45 minutes. You can buy teeth whitening powders, pastes, gels and kits in pharmacies, retail stores and online, but are they actually beneficial to your teeth? There are a number of differences between dentist-administered teeth whitening and at home treatments. The biggest of which is at home treatments can legally only be below 6% hydrogen peroxide. Dentist-administered teeth whitening is the only way to get your teeth back to the white they need to be. An at-home treatment may appear better due to the lower cost, however, they only work for removing stains and do not actually whiten your teeth. These ‘take home’ treatments are not as effective or as safe at dentist-administered. In some cases, at home treatments have been reported to actually burn gums! At a dental clinic like Pitt Street Dental, our highly trained dentists will conduct a thorough dental examination to determine your suitability for teeth whitening treatments. Factors such as untreated tooth cavities, receding gums or the presence of ceramic or porcelain crowns or veneers may mean you are unsuitable to have teeth whitening treatment. In social situations, you may find yourself holding back a smile or laugh to avoid showing off stained or discoloured teeth for fear of judgement from others. 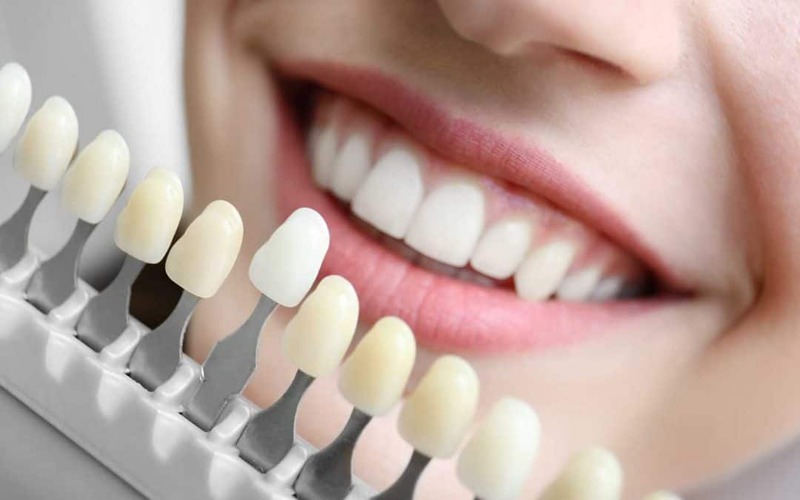 After whitening your teeth by 8-15 shades with Zoom teeth whitening in Sydney, you may experience a confidence boost, which can help you thrive in work and social situations, giving you the confidence to smile more and boosting your self-esteem. A bright, white smile can also enhance the overall appearance of your face for a much more affordable price than other cosmetic treatments, with the potential for long lasting results. The majority of people who come into Pitt Street Dental experience few or no side effects from our Zoom whitening treatments in Sydney. However, for those who do experience any side effects, the most common is slight tooth sensitivity post-treatment. For most people, this discomfort is only short-term. At Pitt Street Dental Centre, teeth whitening is our most requested cosmetic dental procedures and we see many clients experience successful results using our quality Philips Zoom! WhiteSpeed services. Zoom Teeth Whitening is a whitening procedure that uses light-activated technology to whiten and brighten your teeth. In just one session, taking less than an hour with one of our expertly trained dentists, you can achieve 8-15 shades whiter teeth and an unmeasurable confidence boost! Contact our professional team at Pitt Street Dental Centre today to unveil a brighter, whiter smile with Zoom teeth whitening in Sydney.